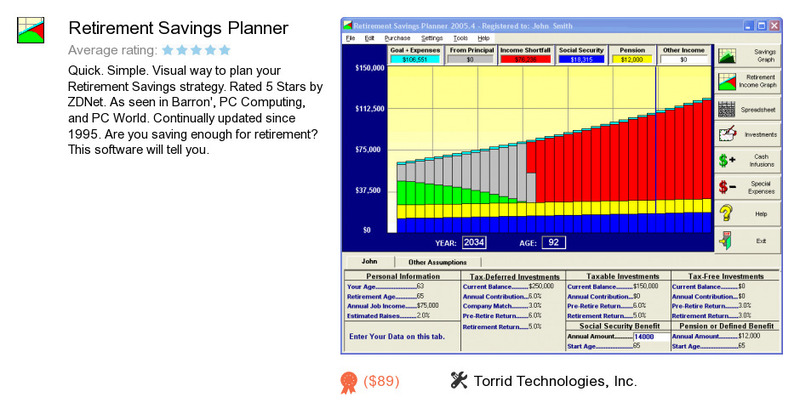 Retirement Savings Planner is an application developed by Torrid Technologies, Inc.. We know of versions 2008.2, 2006.4, 2003.9, 2003.1. Version 2008.2 is downloadable at our site. Retirement Savings Planner distributive has a size of 4,351,498 bytes.